We have met a lot of pastors in need of training. We have been going to the county and meeting with some of these pastors as time would permit and have 'cram sessions' with them. 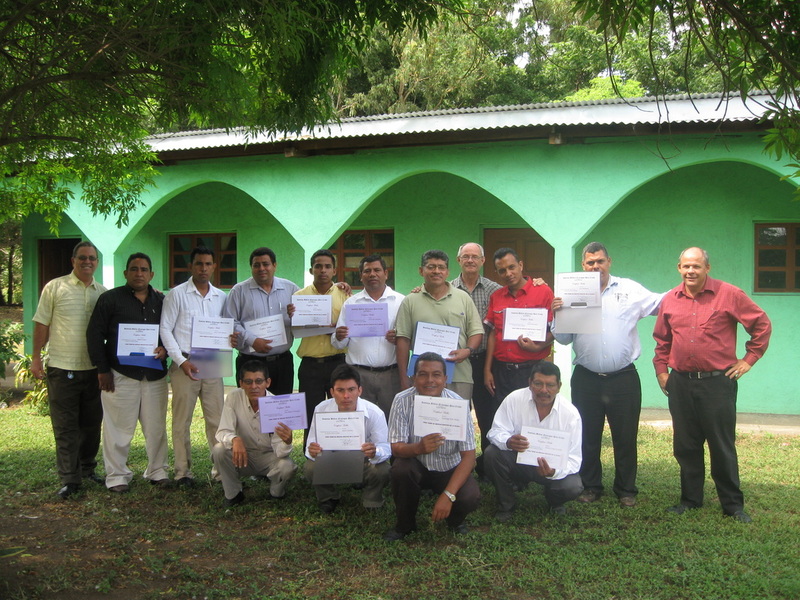 The group pictured above completed a course of study on the Local Church. However, we have discovered they need more than we can give them by just going down 3 or 4 times a year. Also, there is a problem with getting some pastors back every time we go. So many things can interfere when no one knows the schedule ahead of time. We need a full time, operating and functioning, school with set schedules and curriculum. This will be the main focus of our ministry. Some of the preachers we are working with already pastor churches. There are also some young men who want to pastor someday. We are committed in helping these men teach their churches proper Biblical doctrine. Others will be led to start new works and we will partner with them, assisting in helping with the leg work, money for start-up cost, soul-winning, etc.